Did you ever receive a horrible haircut? Nothing could be worse. An excellent hairdresser who really listens and has what it takes is hard to find. 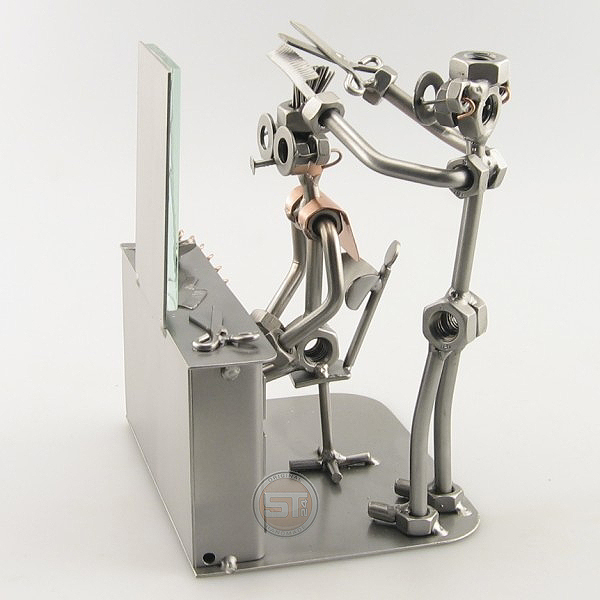 Be sure to thank them with this remarkable Steelman metal art statue. 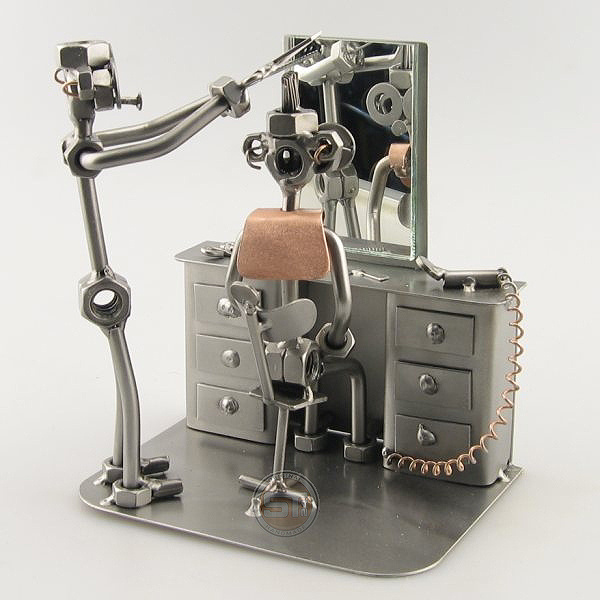 The two of you casually chatting, glancing into the mirror together, this hairdresser knows just how to make your hair look fabulous, even on an otherwise bad hair day!